This book is about a girl who loves chocolate. At first I thought what a funny concept to write a whole book on but after we read it the first time, I knew that it was actually a very clever idea. It’s a story about a girl who wants her world to be all chocolatey – she wants chocolate trees, a chocolate sea, chocolate raindrops – everything made out of chocolate. Only when everything turns into chocolate, does she realise that maybe having more colours, different textures and the original variety in things wasn’t too bad. She starts to miss it. We enjoyed reading it – but I definitely enjoyed the lesson in it. This book is brilliant to refer to when children ask for things, and want things their way, the book lets us figure out for ourselves that maybe having things the way Allah has made them is the best way. 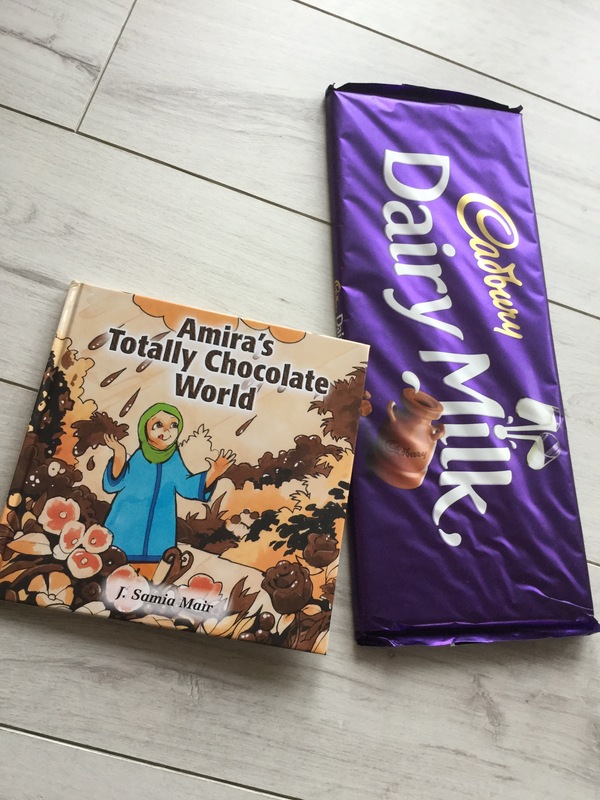 My daughter is five in a few months time, she listened to the book being read with eagerness, trying to understand what will happen to all the chocolate. I think it’s nice when story books can do that to the reader – capture their attention to see what happens next. 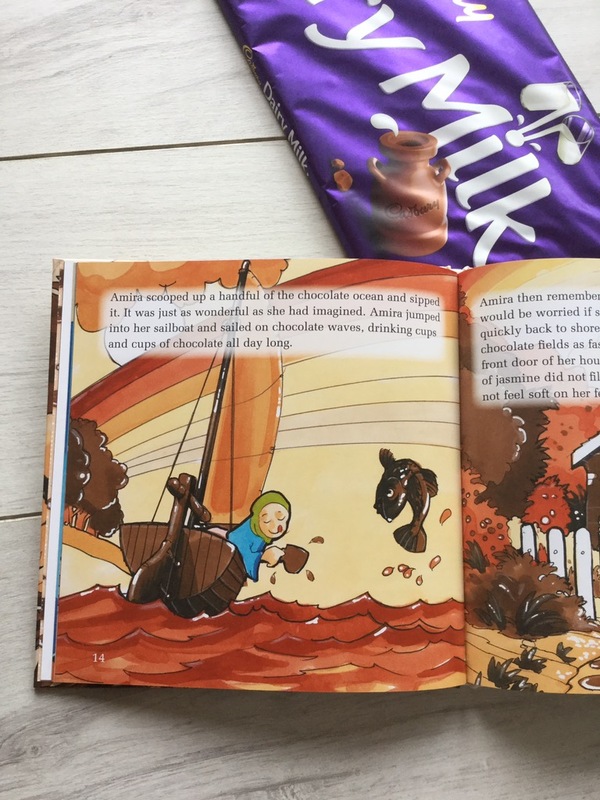 The book is made up of 22 pages of pictures that are lovely and bright and go well with the story itself – helping young readers make sense of everything turning into chocolate. I feel the book is for 6-9 year old to read but can be read to younger children to enjoy – like my two did. There’s also a short glossary explaining the meaning of different Arabic words. My daughter always insists we read this to her and I now think that it’s good she does, it allows us to talk about the every terms we use at home like ‘Alhamdhulillah’. I’ll be honest, although the story tried to pass on the simple message of the perfection in all that Allah has created, I took away from it much, much more. I actually realised how we, even adults, always tend to want things a certain way, a way we think will be best. This book reminded me that Allah knows best – not me, or my wants. And I do feel that this made me think about passing this message on to my children from a younger than I maybe would have previously – because let’s agree – books are the best resources when it comes to passing concepts. Our thoughts grow with the books we read. Overall, a thumbs up from me and my two monsters – who by the way love chocolate but don’t get much of it. 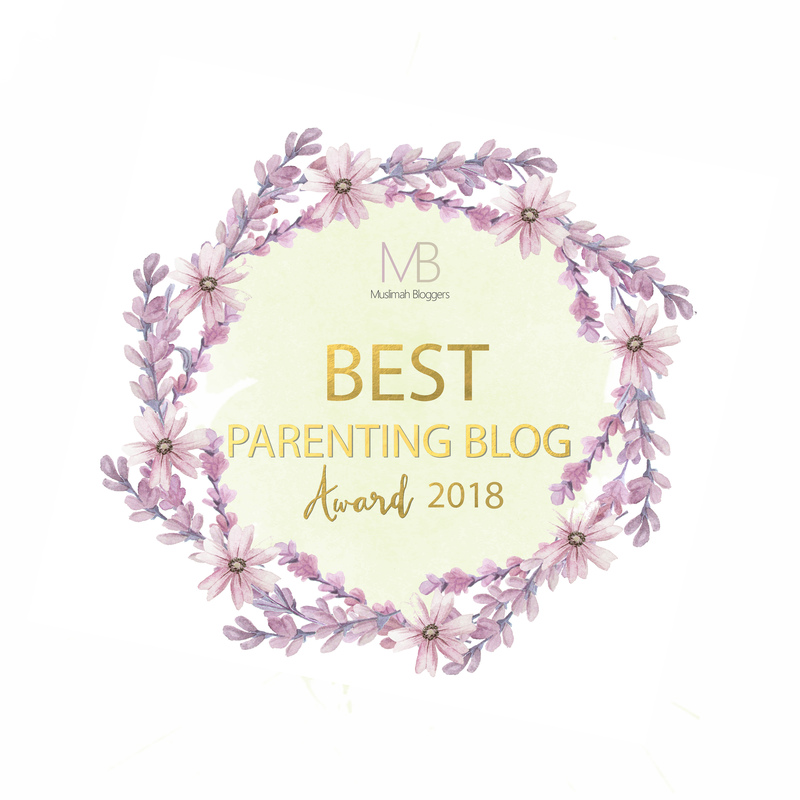 The book is available from Kube Publishing – check out their website for lots of lovely reads for children and grown ups, and they always have offers on too. This book was sent to us for the purpose of review. Oh, it’s a cute book you got. I really like the idea of chocolate wish and the illustration was soooo cute! I wish there are high quality Islamic children books in my country, so I can learn more to write it someday.